Sprigs Earbags: A Family Review and Giveaway! Sprigs is a customer-centric company that only sells products people have requested and have a need for. Once they establish the need for a product, if it doesn’t exist, they create it. You can read up on the backstory of the Earbags’ creation here. 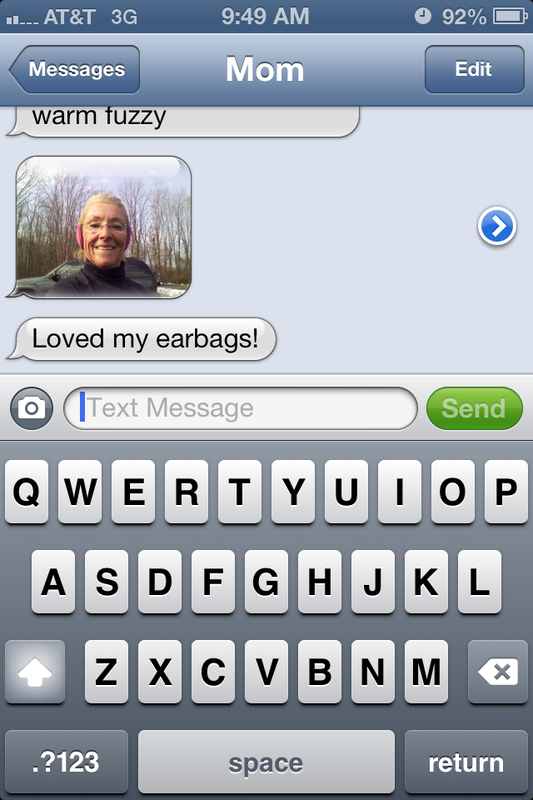 Sprigs was kind enough to offer me not only my own set of Earbags to review, but a set for my mom to try out too! I feel like this family review is appropriately timed in light of the upcoming Thanksgiving holiday this Thursday! And I am thankful for my wonderful mother every single day, not just around Thanksgiving. She has always been a steady part of my life. As I have gotten older, we have only gotten closer. Well, maybe not when I was an angsty teen. So sue me! Anyway, I’m glad that I was able to include her in my Earbags trial because she works out outdoors way more frequently than me. Her number one love is running, something I have never been able to get really into. My mom also hates living in cold New England, and has the same problem I do – we are ALWAYS COLD. So a product that would stay in place and keep her ears warm during her run peaked her interest. I’m a fan of the nifty bag they come in! I nearly died. This blogger has trained her mother well. I did not even request this immediate post-run selfie/opinion. She just sent it! So cute. 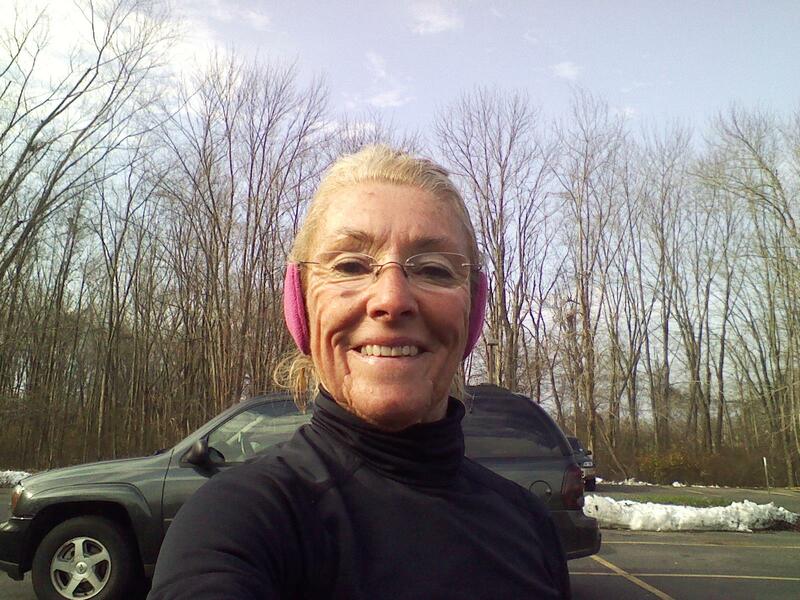 And she really did love the Earbags, and has continued to wear them on her runs! They stayed in place perfectly and kept her ears cold even through long 8 or 9 milers. Don’t they really look like earmuffs?! Just bandless! I tried mine out this past weekend during a special hike in Mystic, CT (more details to come on that this week…) with Maria. She thought they were earmuffs when she first saw me in them! I went for a cute cable knit pair – black, so that they’d match everything! They’re pretty adorable. One thumb up for each Earbag! They also come in animal prints, mesh, and snowflake print. There’s even a pair designed specifically for use with headphones! I definitely recommend Earbags for any runners out there, or even just those who spend a lot of time outdoors and don’t want to worry about having to constantly adjust their ear-warming method of choice. Sprigs is offering Cait Plus Ate readers a promo code to use if you are interested in ordering your own pair! Use the code CaitPlusAte20 up until 12/17/12 at 11:59PM EST. It will save you 10% off orders up to $29.99 and or 20% off $30 or more! Or maybe you’ll be the lucky one Cait Plus Ate reader to win my GIVEAWAY for a pair of Earbags! Sprigs wants to share the Earbags love with a reader too, and you have until this Wednesday at 11:59PM EST to enter. Continental US only please! Here’s how to participate – be sure to leave a separate comment for each method of entry or additional entries don’t count! Head to the Sprigs Earbags page and tell me which pair you’d want most! Follow @SpriGsville on Twitter and comment here saying you did. 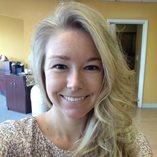 Follow @CaitPlusAte on Twitter and comment here saying you did. 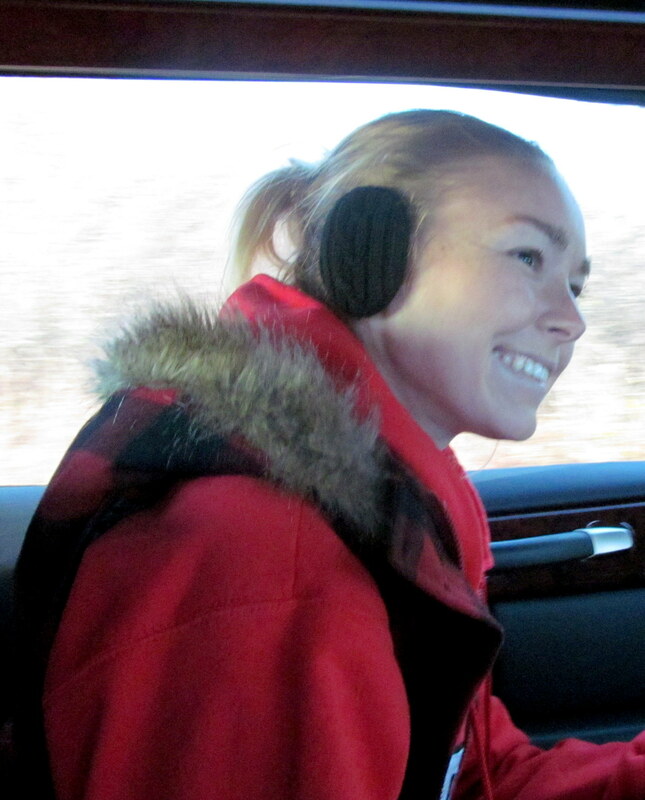 Tweet “I entered to win @SpriGsville Earbags from @CaitPlusAte! http://wp.me/p1SfTW-1H5 #fitfluential #fitgear” and comment here with the link to the tweet. Good luck to all who enter! 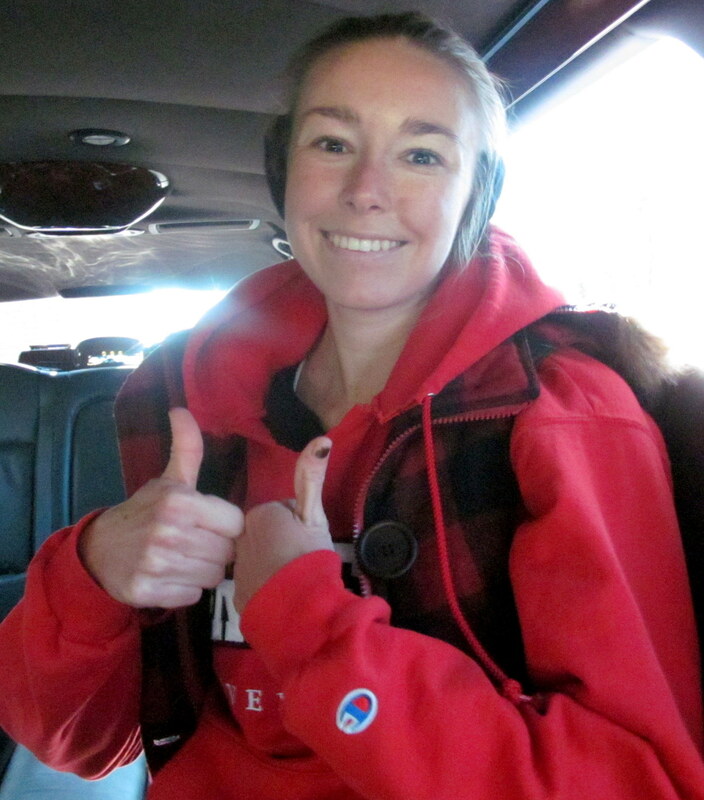 And be sure to let me know if you use the promo code CaitPlusAte20 to purchase your own pair of Earbags! Although I received these Earbags free of charge, all thoughts and opinions are my own.